InnoFADER - a high-quality and precision fader section Crossfader and linefader curves can be customised and adapted to personal preferences. KUT also has a crossfader reverse function (hamster switch). The Wharfedale Pro Connect 802 is a high quality micro mixer suitable for a host of applications. HUM AND NOISE: -127dB Mic Pre Equivalent Input Noise/ -95dBu Residual Noise. The Connect 802 features 2 Balanced XLR Mic Input, as well as 2x Stereo Channels with balanced/unbalanced 1/4" TRS Jacks. Signal To Noise Ratio: Line: 80dB. When will I receive confirmation of my order?. How do I find the item number or product code?. Need more information?. What if I have not received my order?. Can I reserve item(s) that I intend to buy later?. Air Conditioners. Active PA Speakers. When will I receive confirmation of my order?. Can I reserve item(s) that I intend to buy later?. How do I find the item number or product code?. Need more information?. 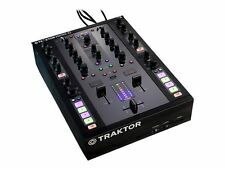 Reloop RMX-90 DVS DJ Mixer Includes Full Version of Serato. The Reloop RMX-90 DVS, a 4-channel mixer with integrated 8in/8 out audio interface developed with an emphasis on precise, powerful sound characteristics. 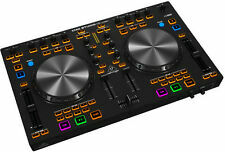 8 in/8 out DVS audio interface, 24 bit for Serato DJ. 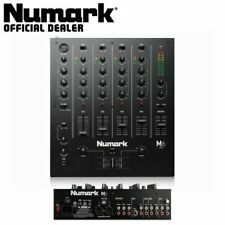 The main mix output and microphone input are on professional balanced XLRs, and there is also a dedicated recording output. 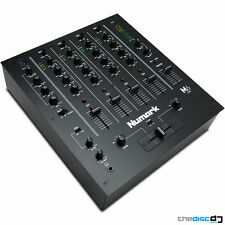 The mixer can also be upgraded with the latest Innofaders for advanced scratching, available as an accessory. 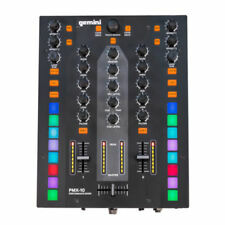 Modell Reloop RMX-90 DVS. Marke Reloop. Item model number: AMX. Pro-grade, adjustable mini innoFADER crossfader featuring a fully-adjustable curve response for fine-tuning the cross fader for any DJ style. Proficiency Level: Professional. Item model number: AMX. Proficiency Level: Professional. Pro-grade, adjustable mini innoFADER crossfader featuring a fully-adjustable curve response for fine-tuning the cross fader for any DJ style. Make sure this fits.